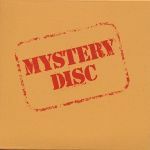 BPR 7777-6 1985-04-19 Orange sleeve Mystery Disc #1, included in The Old Masters, Box I set. 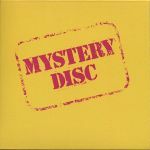 BPR 8888-8 1986-11-25 Yellow sleeve Mystery Disc #2, included in The Old Masters, Box II set. RCD 10580 ADV 1998? No insert, pink printing. Advance CD (Rykodisc promotion). ZR 3891 2012-11-19 0824302389126 Orange insert US edition, manufactured and distributed by UMe. 0238912 2012-11-19 0824302389126 EU edition = Zappa/UMe ZR 3891, manufactured in Germany. ↑ 1.0 1.1 1.2 1.3 The 1998 CD is a compilation of the 1985 and 1986 LPs, except for Why Don'tcha Do Me Right? and Big Leg Emma (which are on the Absolutely Free CD). This page was last modified on 27 December 2012, at 15:40. This page has been accessed 57,277 times.